Albania does not want a centre of the European Union on its territory where migrants are taken care of. 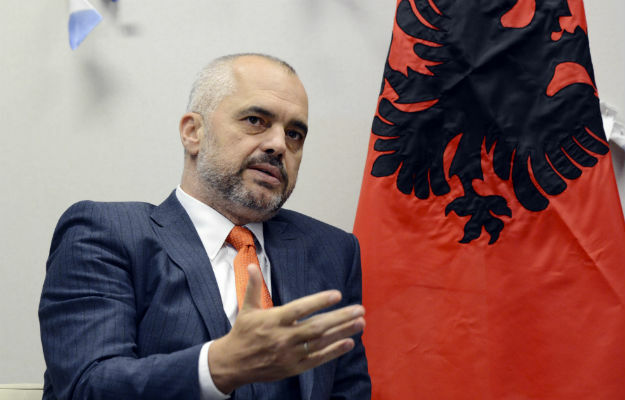 “We will never accept such a European refugee camp,” says Albanian Prime Minister Edi Rama to the German newspaper Bild. Even if the EU grants membership to its country in exchange, it would reject the proposal. Rama is fundamentally opposed to ‘dumping despairing people somewhere as toxic waste that no one wants’. According to Rama, Albania is willing to make a just contribution to helping European countries, but its state cannot take on all the problems. It is ‘a dangerous solution to make Albania the breakwater for European refugees’, he says. On Tuesday The Greater reports, European pressure from the European Union under pressure from Germany will give the green light to start accession talks with Macedonia and Albania. It is speculated that this decision is connected with the call of several European leaders to receive and separate economic migrants and refugees in centres outside the EU. Albania, as well as Tunisia, is mentioned in the corridors as a candidate host country.